CHICAGO (WLS) -- Investigators now say an arsonist is responsible for a fire that heavily damaged a horse stable in the Old Town neighborhood. The fire happened earlier this month at the stable on North Orleans. 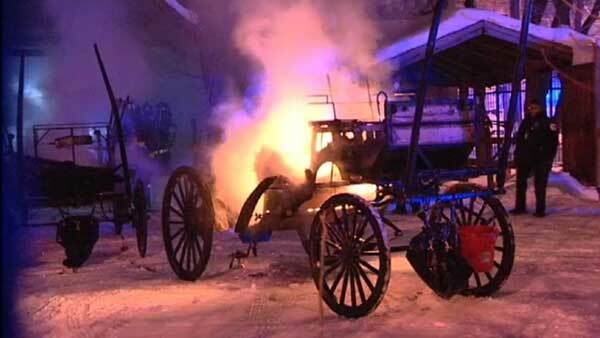 Several different carriage companies leased space in the stable. At first investigators first said the fire was accidental, but have since ruled it arson and the FBI has been called in. The fire destroyed 13 carriages. No horses were injured.